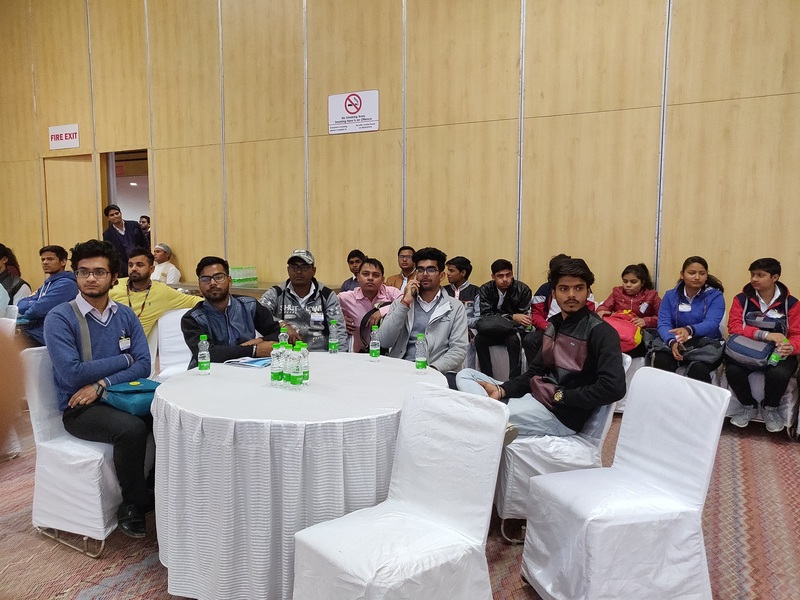 An Industrial visit to “67th Indian Foundry Congress &amp; IFEX concurrently with 15th Asian Foundry Congress” Greater Noida was organized by the GIET for Mechanical 2 nd &amp; 3 rd year students (B.tech &amp; Polytechnic) on Friday, 18 th January 2019. Thirty one Mechanical Engineering students along with two faculty members visited to “67th Indian Foundry Congress &amp; IFEX concurrently with 15th Asian Foundry Congress” to attend the seminar organized by “67th Indian Foundry Congress &amp; IFEX concurrently with 15th Asian Foundry Congress”. In this visit the event was showcasing IFEX, Cast India Expo, Cast Source Meet, Special Sessions, Panel Discussions, Case Studies and Success Stories, Technical Sessions, MSME forum etc. Students were very eagerly waiting for listening to the speakers presented at the seminar. Various technical sessions were attended by the students. The sessions were about the foundry, manufacturing of castings and equipments manufacturing in the Manufacturing industry. Various speakers presented their topics on for Foundry Industry, for Seller, Manufacturer of Casting, Equipment Manufacturer, Software Developers or Consultant.